In the past it was assumed that all greenhouses were massive glass and metal structures that required a great deal of space, and care to keep them in good working order. Today's selection of available greenhouses is much more expansive, however, with options available for a variety of different levels of expertise and amounts of available space. Are you looking for the best possible greenhouse for your needs and situation? Consider the following options that are available to you as far as green house buildings and greenhouse projects go. When beginning a greenhouse project, the first consideration to make is how much space you have. 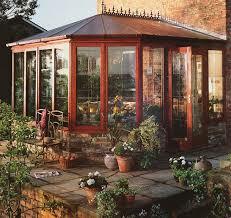 If you are a homeowner and have a decent yard to work with, then a medium sized greenhouse is usually best. There are also small and even miniature green house building options for people who have less space or who do not think that they can utilize all of the space in a medium sized building. There are also larger green house building options available, but unless you have an over abundance of free space and serious dedication, it is better not to start out with something larger than what you can handle. - Aluminum or other high quality, maintenance free metals offer greenhouse frames that can withstand a great deal of weather without rusting. Aluminum is especially popular because these frames can be combined with a variety of different coverings, including traditional glass, polycarbonate and plastic. - High Quality Woods like Red Cedar are ideal for dry climates or for people who want aesthetically pleasing green houses. Wood is naturally an insulating material, absorbing heat during the day and then releasing it when it is most needed. Wood is capable of rotting, however, which means that it requires a level of care beyond what other frame materials may need. 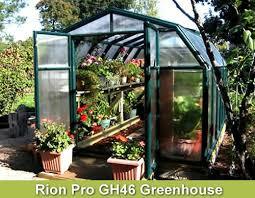 - Plastic or PVC green house frames offer simple assembly without much expense. These green house building frames are also the easiest to move. The one thing that you need to understand though is that these greenhouse frames must be anchored down in areas with high winds, as they are light weight and can be tipped over or pushed around in heavy weather. The third and final consideration to make when it comes to choosing the features for your greenhouse project is what material to cover the framework with. You essentially have three primary choices here: Glass, Plastic and Polycarbonate. Glass Greenhouse: Glass is the most ideal covering from greenhouse projects which is why it has been the traditional choice for so long. However, glass is not the economical choice and people who are working on a budget may be limited to other alternatives. Plastic Greenhouse Covering: Plastic is a sturdy and versatile material for green house building covering, but it does not offer the same level of clarity that polycarbonate or glass offer, so visibility is largely limited. Polycarbonate Greenhouse Covering: This is an inexpensive option, and provides clarity close to what is offered by glass. Unfortunately, polycarbonate coverings need to be replaced regularly as they are not as sturdy as other materials.